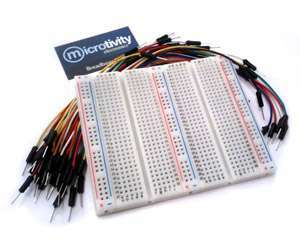 This breadboard and jumper wires kit is ideal for making electrical connections and for testing purposes. The solderless breadboard has 750 points with standard 0.1" (2.54mm) pitch. Packaged in a zip lock bag.